Businesses of all sizes are bullish on their chances for revenue growth in the United States. They expect that a strengthening economy will lead to revenue, sales, and profit growth in the year ahead. The finance department is primed to play a big role in making these rosy projections a reality. They are expanding beyond being a traditional back-office role into strategic activities that impact business growth. 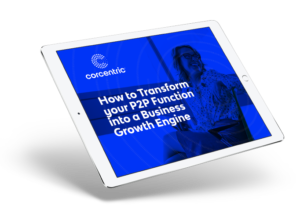 If you want to raise the strategic standing of procure-to-pay, you can’t miss this webinar. Business email addresses are required. Personal email addresses (gmail, yahoo, msn, etc.) will be rejected for this webinar. 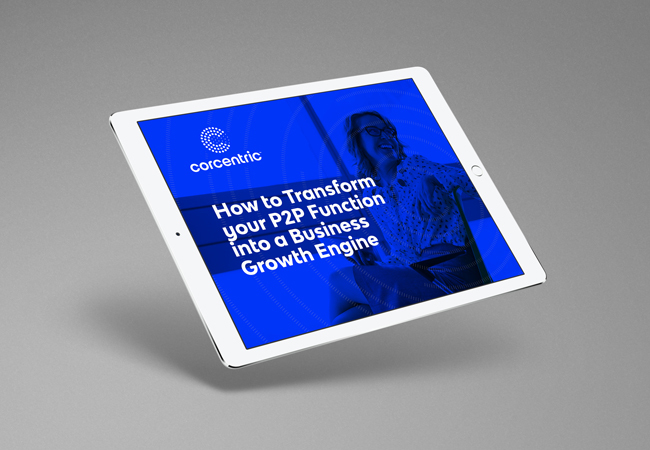 Thank you for registering for our live webinar, How to Transform your P2P Function into a Business Growth Engine. You will receive a confirmation email shortly with the webinar information. If you have any questions, please contact Mike Ruhl at mruhl@corcentric.com or 856-382-4741.